The US Department of Justice (DOJ) is demanding information about the owner and visitors of an anti-Trump website. On August 14th, internet hosting company DreamHost.com posted a statement stating they have been involved in a months long exchange with the DOJ over information requests about the website www.disruptj20.org. DreamHost stated that not only have they been asked to supply information about the website and its owner, but also about the visitors to the website! The anti-Trump website, disruptj20.org was used to organize protests against US President Donald Trump on Inauguration Day 2017. The website featured maps to organize themed blockades of intersections. It also had tips for legal observers and downloadable protest signs. The request for information is stated in this DOJ search warrant from the Superior Court of the District of Columbia. DreamHost’s General Counsel, Chris Ghazarian, denied the request because they feel it goes too far under the US Constitution. Complying with the search warrant would mean handing over about 1.3 million disruptj20.org website visitor IP addresses plus the contact information, email content, and photos of website visitors. Since that denial, the DOJ filed a motion with the DC Superior Court to compel DreamHost to comply with the warrant. 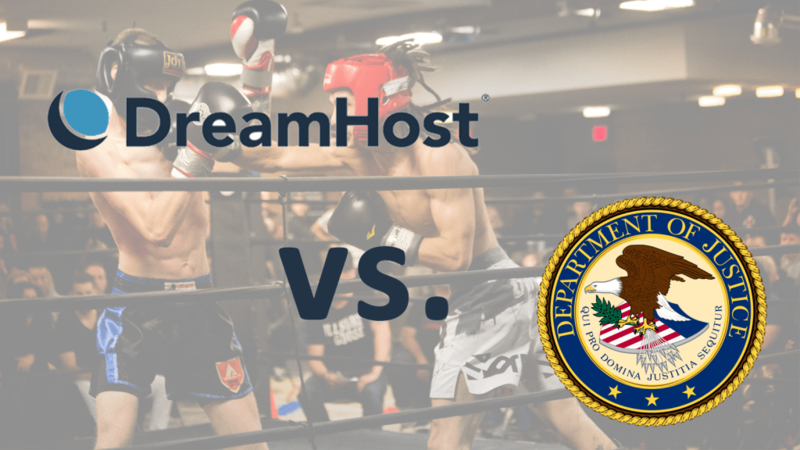 DreamHost then filed legal arguments in opposition and will attend a court hearing in Washington, DC. DreamHost like other service providers receives many requests for information each year. These requests are typically for people or websites that under investigation for criminal activity. One of the more high-profile access request cases last year (not related to Dreamhost) was the Federal Bureau of Investigation’s (FBI) request to Apple, Inc. Although the case was not about a website, Apple was asked to hack into their own hardware in order to provide information about an individual who was under investigation. Ultimately, the FBI obtained the access and information on their own. Apple refused to cooperate. In another incident, District of Columbia law enforcement requested user information from Facebook on someone who attended anti-Trump protests on inauguration day. That request also requested addresses, phone numbers, and user session details.